I’ve seen him so many times and didn’t know his name. Nice to see a Native playing a Native. How rare. Wes also played a detective in the Tony Hillerman Series on PBS. Directed my Chris Eyre and executive producer Robert Redford. He’s done quite a bit of TV work. 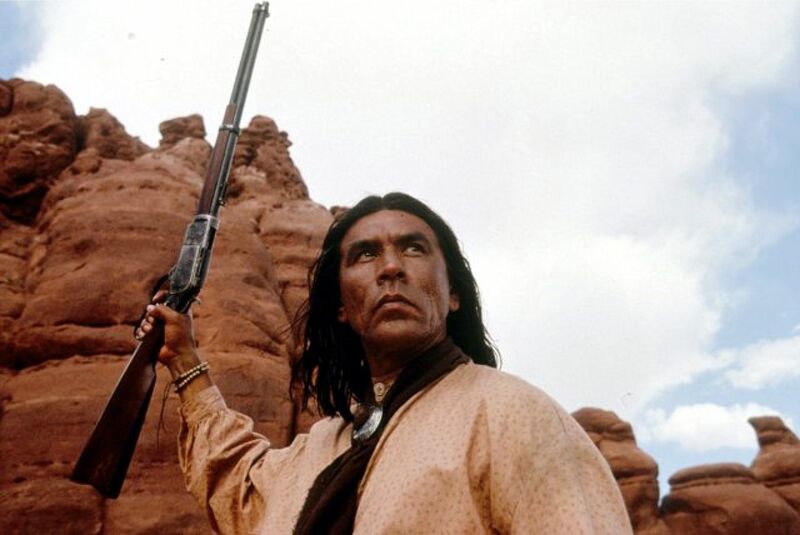 Recently in Hell on Wheels, As you say, he’s successfully broken out of being strictly cast as a Native in Westerns and has roles in several other projects. Thank you very kindly. I much appreciate it. 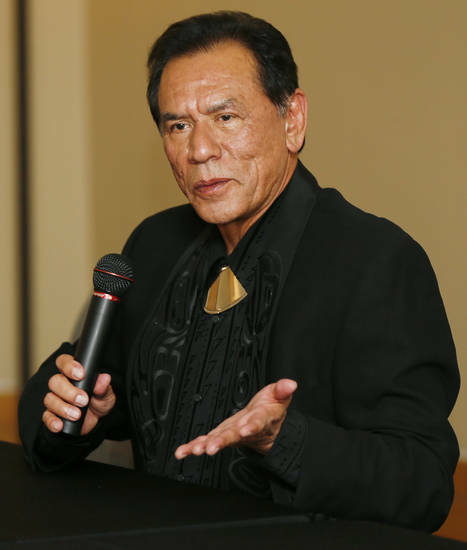 I love Wes Studi and have admired him for years. 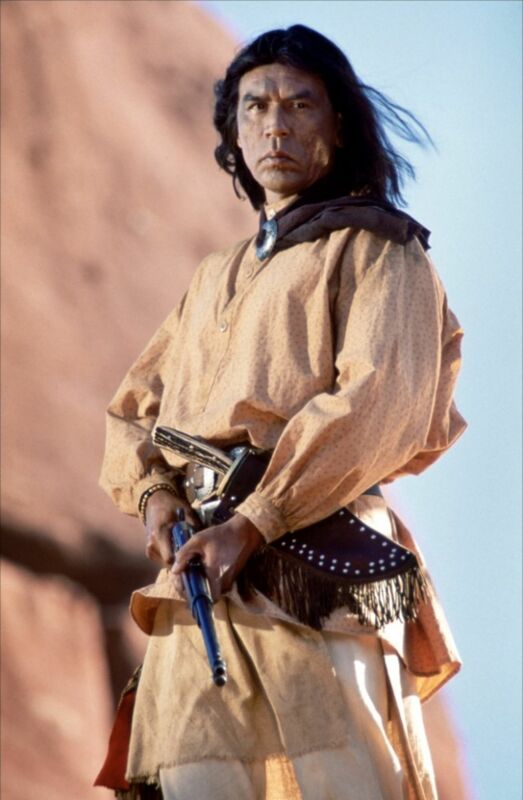 Remember him in Dances with Wolves? Yes, I do remember that! 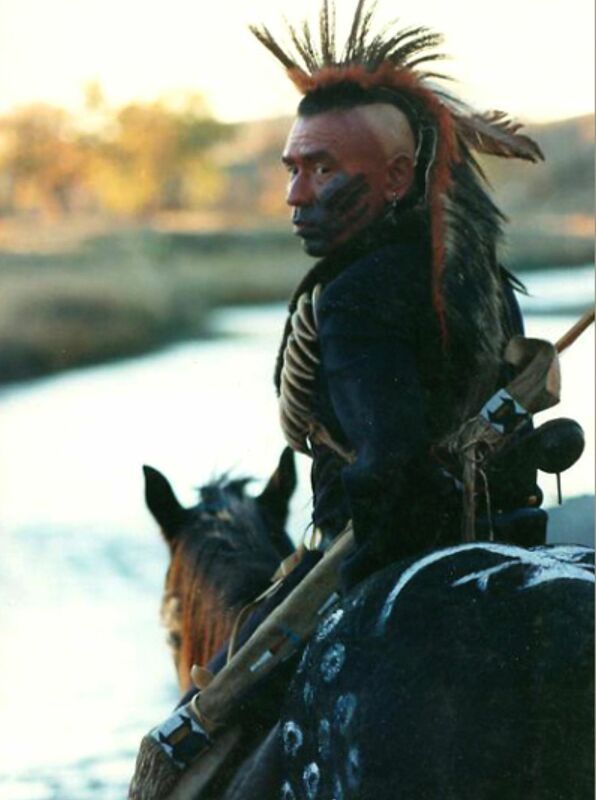 Pawnee warrior. Wished his part had been bigger. i’m negligent in not listing all his worthy work. I intend to do a full bio of Studi in the future. 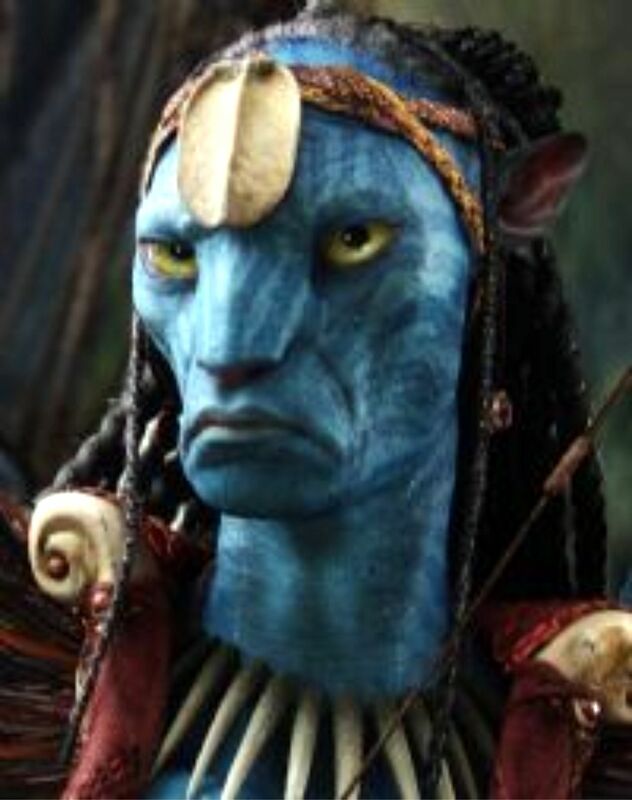 Congratulations to Mr. Studi who — as others have observed — has proven himself to be a most versatile actor. That’s a major accomplishment in itself. 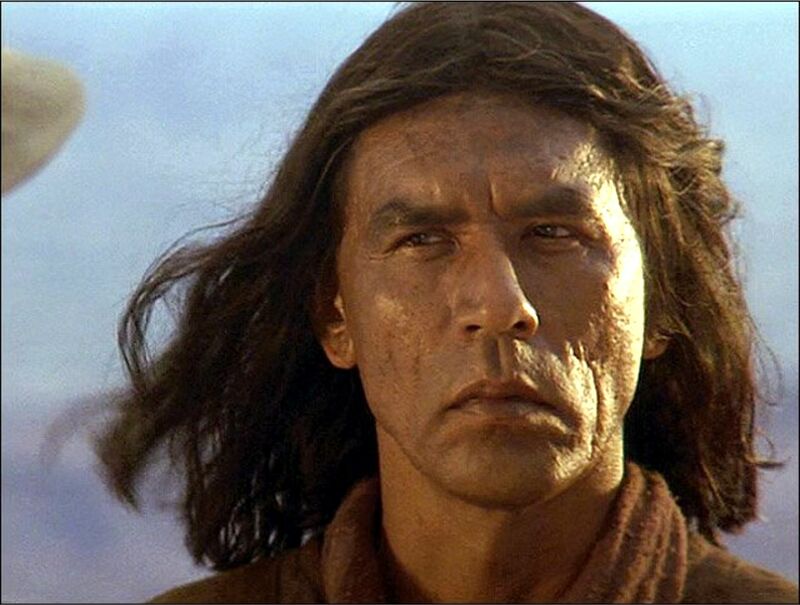 Wes Studi is one of those rare actors who can draw you into any role he plays..,bad guy. or good guy. He’s like a native American Walter Mathau. I tend to follow the character actors more than the leads anyway. Good points Ben. 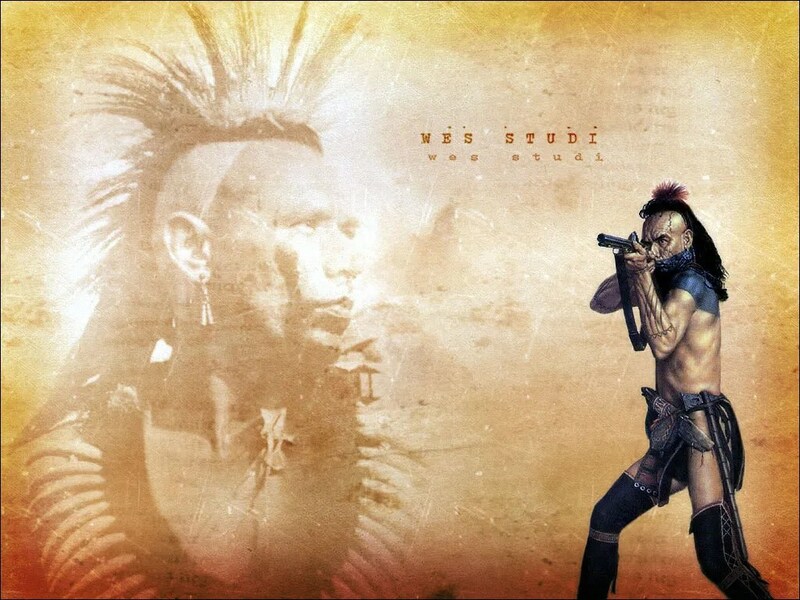 Studi is a powerful actor – has a strong screen presence. Makes him a menacing Bad Guy.